Confluence Architecture & Sustainability has been electrically net-zero for a while. Now our surplus solar electric is being used to charge our new Electric Vehicle. 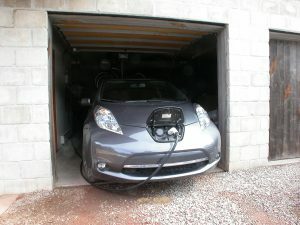 A Gunmetal Grey Nissan Leaf with a level 2 charger to go with it. Architectural site visits, construction inspections and blower door testing from Confluence will now be carbon neutral from New Castle, Glenwood Springs, Carbondale, Willits, Basalt to Aspen!